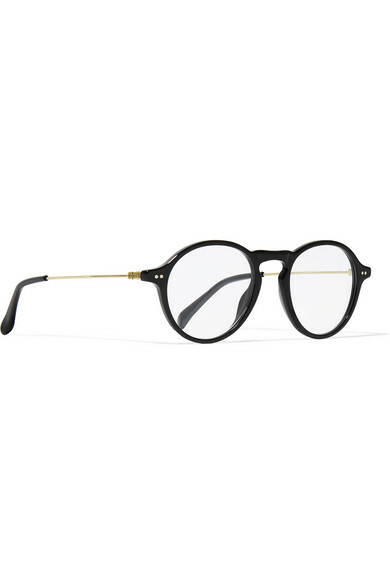 Givenchy's glasses have round-shape frames contrasted by slim gold-tone metal arms and black acetate tips. 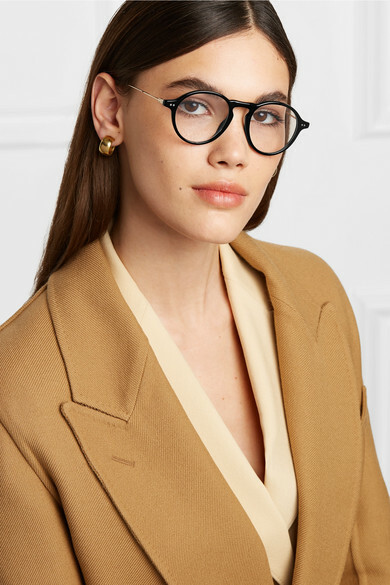 Crafted in Italy, they're detailed with a keyhole bridge and clear lenses that can be placed with your own prescription or UV ones. Stow them in the designer-stamped hard case between uses. Shown here with: Theory Blazer, Laura Lombardi Earrings.